Introducing the BAMF HD shackle replacement for the 2005 or 2018 Tacoma. 100% .250" construction factory replacement it fits your factory hanger or our HD hanger kit. 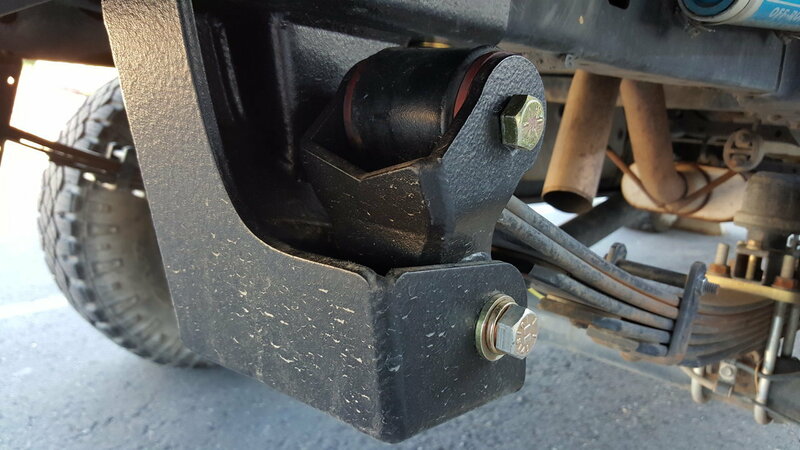 It removes the loaded bushing in the factory shackle freeing up leaf spring movement for more articulation. They are grease-able and come with high quality poly bushings and the inner sleeve is a heavy .250 wall as well ensuring it stays round with heavy abuse. Note these might not work with all leaf springs you may need to modify the second leaf if it's a standard wrap. 6 to 8 weeks lead time.